Our Chicken wing recipe is based on an original, developed in Buffalo, New York, the home place of Buffalo wings. Our unique sauce is not only good but good for you as it is made with the finest all natural ingredients and contains no preservatives. 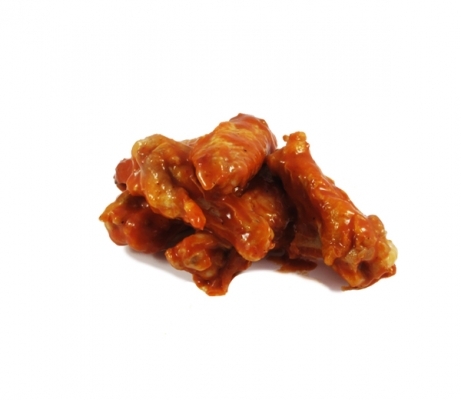 Our chicken wings are delivered to you ready-to-bake approximately 20 mins 180˚C.